DDC Laboratories India has opened up its collection centers all over Rajasthan making it easy for the residents to get a DNA test done. 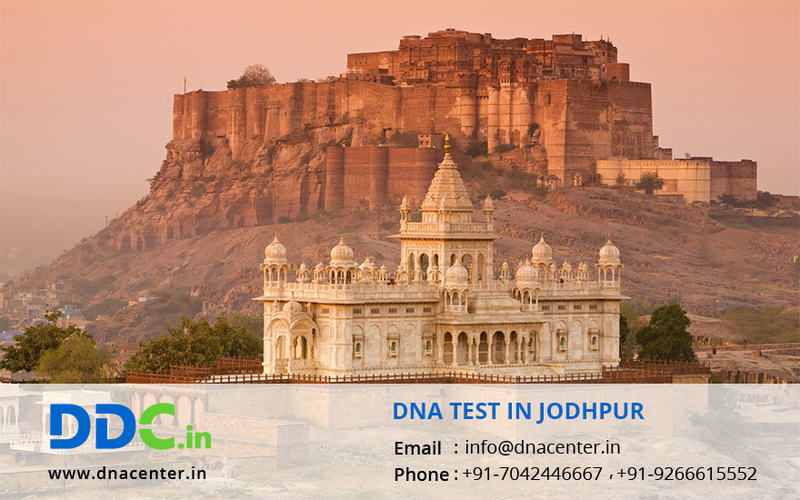 DNA Test in Jodhpur Rajasthan has been facilitated with the opening up of a collection center here. There is no doubt about the uses of DNA now. It has solved many problems that seemed impossible a few years back. You can get the test done for peace of mind. DNA test can also be done for infidelity cases. Visa in certain countries is issued once you prove relationship, so with DNA test it can be done with ease. DNA test is also done in cases of adoption since the parents want to be assured that there is no hereditary disease in the child. Identification of dead bodies can also be done with DNA. We tender a large collection of DNA testing services for the peace of mind including test for establishing biological relationships, checking family history, determining genetic disorders and ailment history in the family. We provide embassy approved DNA tests and our testing lab for immigration cases is AABB certified and we collect sample from anywhere in India. For any queries and to make an appointment for DNA Test in Jodhpur Rajasthan, please fill the form below and our executive will contact you or give us a call at: +91 7533008488.